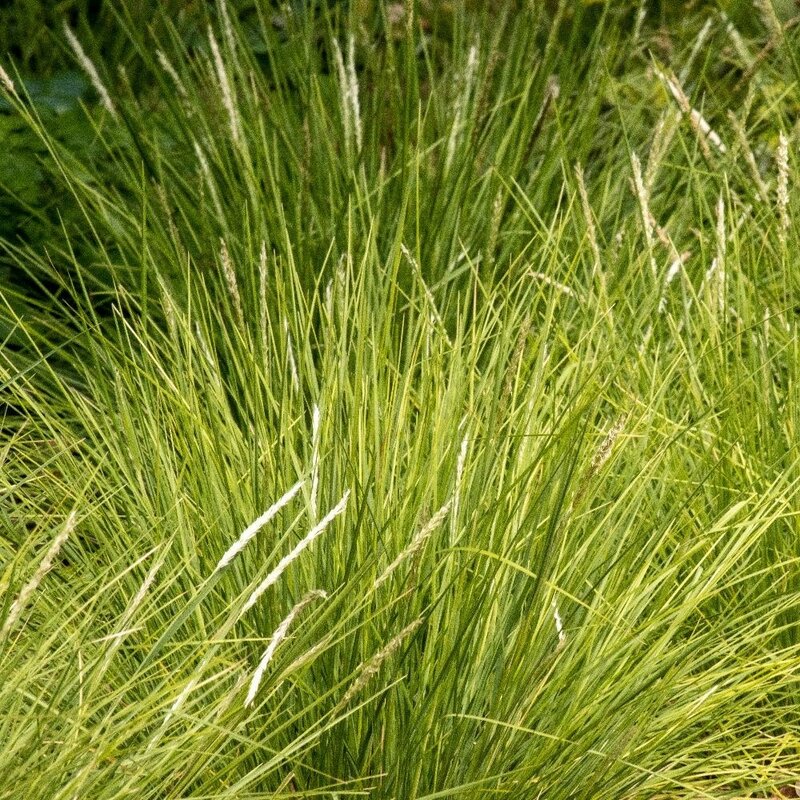 Both easy to grow, and tolerant of a wide range of soil types and aspects, this evergreen grass is a valuable foil for large and small gardens alike. 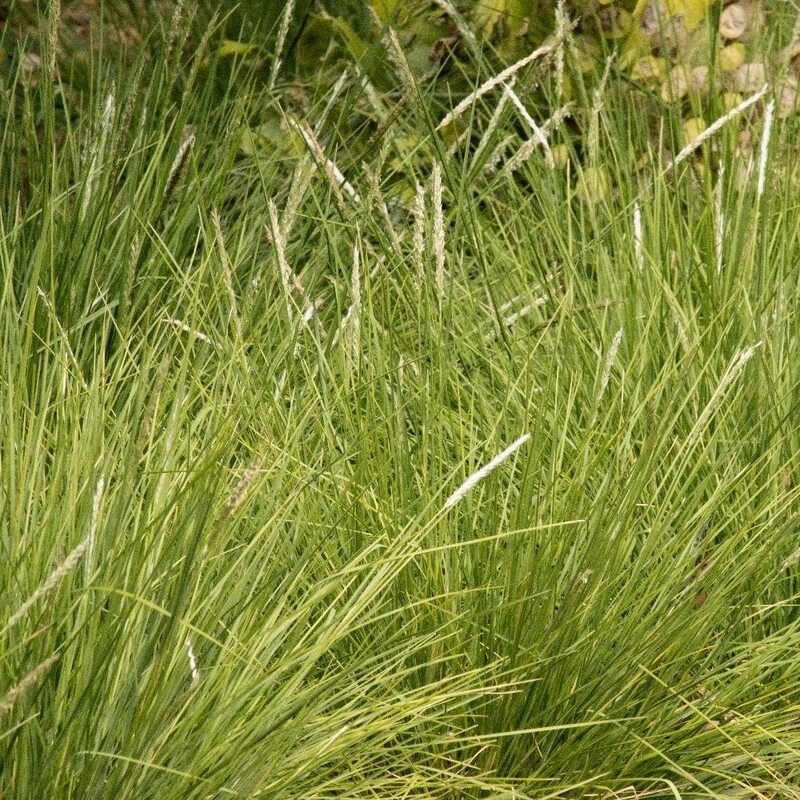 Unlike many other ornamental grasses, it is a cool-season grass that tends to put on new growth in autumn and spring, and dies back a little in the summer. It is during the summer period that the plant also sends up wiry, upright stems, from amongst the hummocks of grey-green foliage, which support the elongated flower spikes. The long-lasting flowers, which are silvery-grey at first, gradually open to reveal a sleeve of silky white stamens which shimmer lightly in any passing breeze. In the autumn the foliage takes on a lime green hue, which will often continue throughout the colder weather. This is a fine subject for defining the edge of woodland paths or shaded courtyard border and looks wonderful planted in big blocks. Garden care: cut back old foliage in the spring to encourage fresh new grow growth and to maintain good form and habit of plants. Avoid waterlogged conditions in winter.